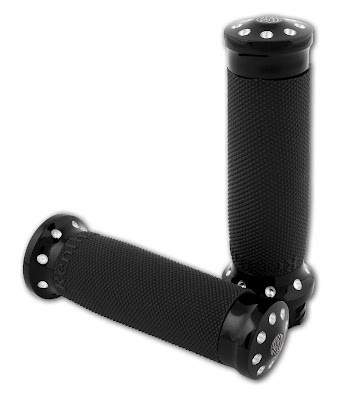 This is the new RSD Tracker Grip. When your screaming down the highway at 100+ your grip better stick. 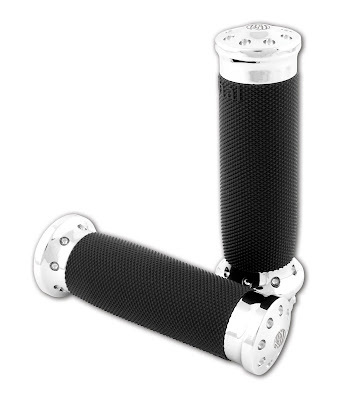 There isn’t a better way to ensure that, than the RSD Tracker Grips; made with real Renthal rubber, CC machined speed dots, and whole lotta throttle twist. Grip it, Twist it, and Rip it. 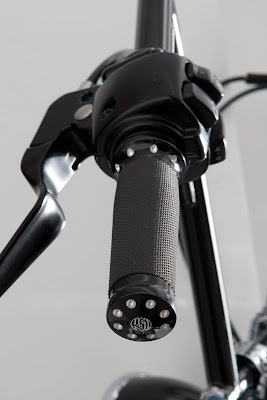 Contrast Cut Tracker Grip on Bike Compatible with stock Throttle Housing. 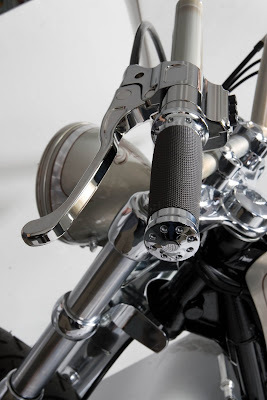 Chrome Cut Tracker Grip on Bike Compatible with stock throttle housing.